This past Thursday, I attended my third JMU Student Affairs Divisional Meeting. It is one of my favorite days of the fall semester because it’s the one-day of the year that all of the “student affairs people” are together at the same time in one place. During the meeting, our Senior Vice President, Mark Warner, addresses all the Student Affairs staff members with a short speech, then all of the office Directors introduce their new staff members for the school year, and finally the annual Values in Actions Awards are given out. In addition to this, we also host a Keynote Speaker every year. This year, we were proud to have George D. Kuh speak to all of us about Student Engagement and Success. George Kuh is an adjunct research professor of educational policy at the University of Illinois and Chancellor’s Professor of Higher Education Emeritus at Indiana University (IU). George founded IU’s Center for Postsecondary Research and the National Survey of Student Engagement (NSSE) and related instruments for law students, beginning college students, and faculty. He directs the National Institute for Learning Outcomes Assessment and founded the Strategic National Arts Alumni Project. Dr. Kuh has about 400 publications and has made several hundred presentations on topics related to institutional improvement, college student engagement, assessment strategies, and campus cultures. In 2013, The Chronicle of Higher Education described George as a “towering figure” who “launched the field of assessment of institutional quality”… So, obviously, George is kind of a big deal. He talked to us for about an hour regarding his research within the field, such as intentionality and the major tasks that we must accomplish as student affairs professionals (teaching students to reflect, integrate, and apply their college experiences to their real lives). He also spoke about early-college indicators of student success, such as psychosocial fit, credit hours completed, academic and social support, goal realization, and involvement in the right kinds of activities. The main points I wanted to report on were the 7 priorities that we need to have in mind for student success because I think they are applicable to all student affairs professional, no matter what institution you are at. 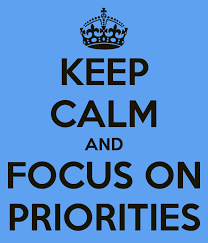 What are your priorities when it comes to student success? Does it align with your University mission and personal values? Going to the Cities, The Twin Cities that is.